Posted on 05/09/2013Understanding Scleroderma: An Interactive Tool. Scleroderma is a systemic autoimmune disease also known as systemic sclerosis, or “SS”. The disorder results in the hardening and inflammation of many organs in the body. In most cases of scleroderma, the indications of the disease are seen on the skin; with symmetrical skin-thickening, discoloration, and/or lesions. Inside the body, SS affects the gastrointestinal tract, the lungs, kidneys, heart, and various muscles. There are two major types of scleroderma that are commonly seen in people. The first type affects large parts of the body such as the respiratory system, while the second type is more specific and might affect a smaller area such as the tissue or cartilage near a bone. At Heathmark, patients often come in with cold, discolored feet. 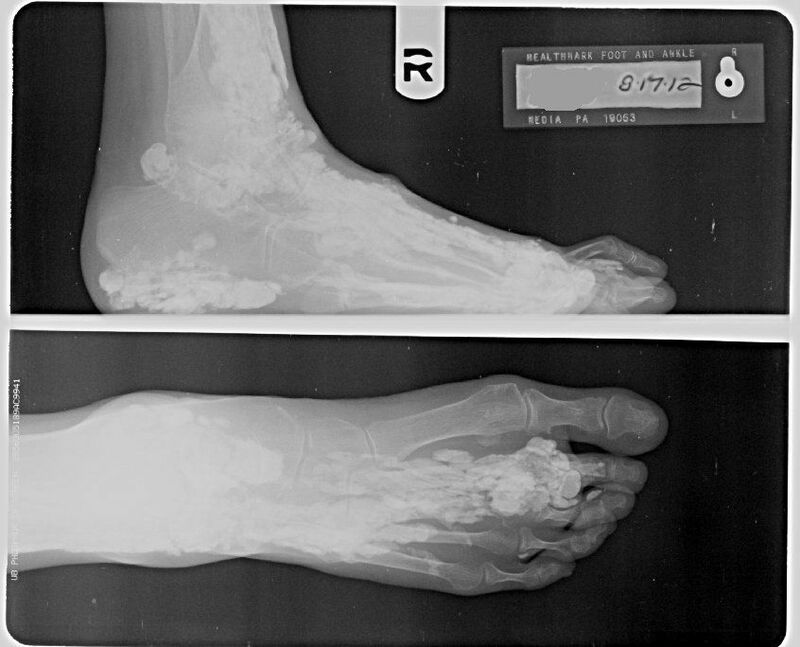 Some patients have symptoms of “crunched toes” called hammertoes, or tightness in the arch of the foot called fascitis. The unconventional healing of scars and previous injuries often lead to further investigation for scleroderma, as these may be serious symptoms. The ailment almost always begins in the feet and hands. Using advanced technology, your doctor at Healthmark can make proper observations and comparisons both on the surface and inside your body. Scleroderma is a ailment that creates serious long-term complications for the body. If you have a history of scleroderma in your family or you think you might be experiencing problems with foot circulation or changes in the skin, contact the scleroderma specialists at Healthmark Foot and Ankle. If you already have a confirmed diagnosis of scleroderma, we will work closely with you primary doctor and your team of specialists to help combat the disease. We can monitor your condition, keeping you safe from the many foot problems associated with sclerosis and scleroderma. We have three exceptional board-certified podiatrists and three convenient locations. Call us today to protect your feet.